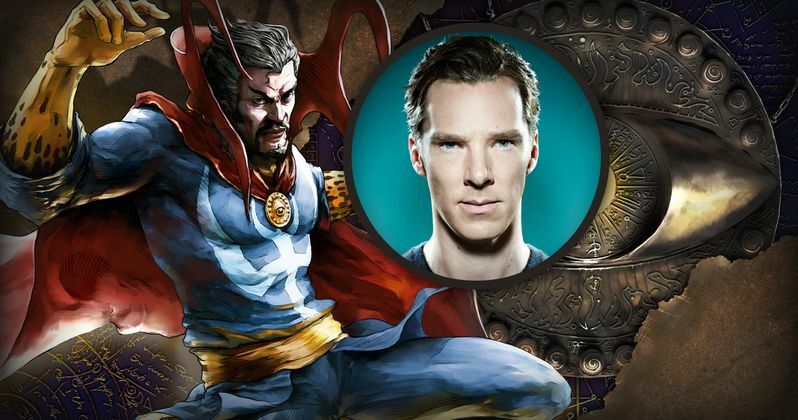 Benedict Cumberbatch has entered final negotiations to take on the title role in the Marvel Phase Three adventure Doctor Strange. The news comes just weeks after publicists confirmed Joaquin Phoenix had walked away from the project. A number of names have been mentioned in regards to the role as Marvel went looking for its next best choice. These names included Colin Farrell, Keanu Reeves, Ewan McGregor, Matthew McConaughey, Jake Gyllenhaal, Oscar Isaac, Jared Leto, Ryan Gosling, Tom Hardy and Ethan Hawke. The last report coming from inside the Marvel camp, yet never confirmed, was that Benedict Cumberbatch was the number one choice on the short list of actors vying for the part, but his shooting schedule on the popular BBC series Sherlock was standing in the way. It seems those issues have now been worked out. Benedict Cumberbatch will next be seen in The Imitation Game, which is considered an Oscar-contender for its portrayal of WWII code breaker Alan Turing, who was later arrested for being gay. Cumberbatch also recently won an Emmy for playing the lead character in the BBC/PBS hit Sherlock. Joaquin Phoenix never signed a deal with Marvel, and eventually walked away from talks due to his reluctance to sign on for multiple movies. Scott Derrickson is directing Doctor Strange from a script by Jon Spaihts. The story follows a neurosurgeon who becomes Sorcerer Supreme, protecting Earth against magical and mystical threats with powers of sorcery, mysticism, and martial arts. The character was originally created by Stan Lee and Steve Ditko. Marvel's Kevin Feige will produce.